I’m not sure who was more gorgeous: the people or the horses. Weirdly, neither species was sweating, except for us, two Midwesterners broiling in the April Seville sun. 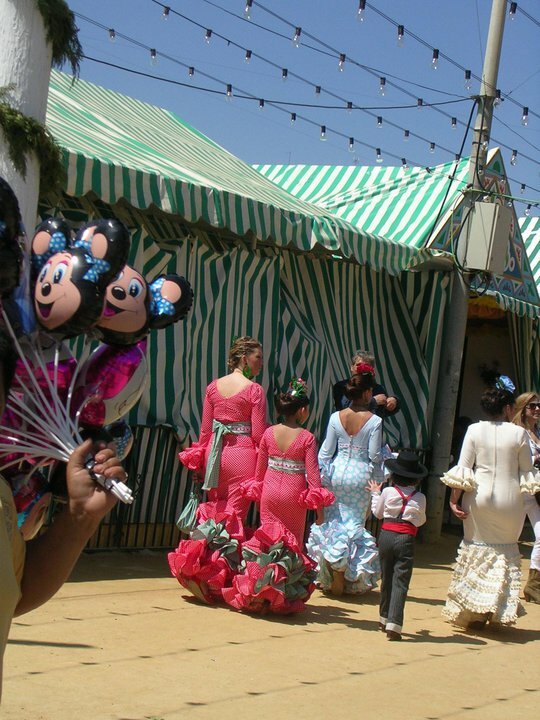 The Seville April Fair or Feria de abril de Sevilla for all you non-gringos, is a yearly six day fair of Andalusian culture in Seville, Spain. And by fair I mean combination parade, amusement park and gigantic party. 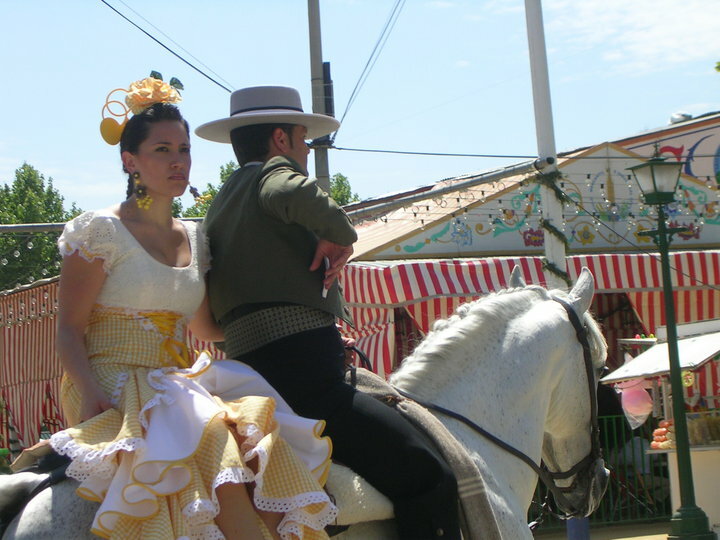 The fairgrounds are mostly filled with casetas–fancy tents with striped awnings. There are a few public casetas, but most are privately owned by families, clubs or community groups. At the far end of the fairgrounds is an amusement park with rides like you’d expect, only with an above-average amount of mechanical bulls. Also, terrible food (we ran out of picnic food and ate a god-awful hamburger). The sun was going down and we were jealously peeping at a family singing and playing flamenco guitar in their caseta, when a woman in the group ran out, grabbed our hands and invited us inside. This was the perfect thing to happen: there are of course tourists at the fair, but the event is not really for tourists. These people were friendly! We don’t speak Spanish, but HOB and most of the family spoke French with each other. They gave us manzanilla wine, unsuccessfully attempted to use us to resolve a dispute over which was the best Spanish soccer team, and taught us a filthy curse. And naturally, they were continually singing together in a circle to the guitar and the women in their polka dot dresses were dancing and it was so so fun, until, oh the horror, a lady pulled me into the center of the circle and forced me to dance with her. People, to say I’m graceless is an understatement. I wouldn’t go so far as to say I’m lumbering, but I can not dance, let alone dance flamenco with insanely attractive and graceful people who have danced this way all their lives. I tried to go with it, but this surely had to be one of the more humiliating moments of my life. The only satisfaction I had was as soon as I was released, the woman grabbed HOB and then he had to dance flamenco. (HOB also is a terrible dancer, but he at least had the advantage of being slightly drunk). The night was getting on and we were tired, but the Spanish family was still eager to party. We begged off a late-night bar visit with shiney-eyed José, said adios to our hosts, and gratefully returned to our hotel. 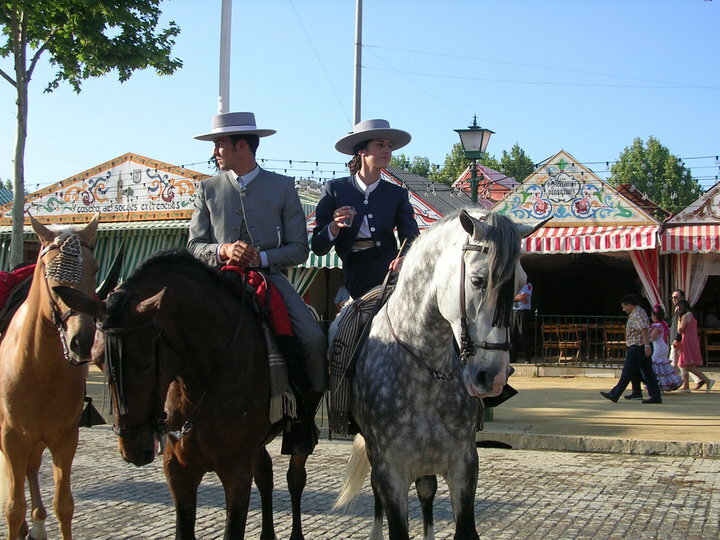 How we got to Seville: train from Cordoba. Where we slept: Pension San Benito Abad . Price: €60 for a double during the fair, and then €40 for the two nights we stayed after the fair ended. Recommended? 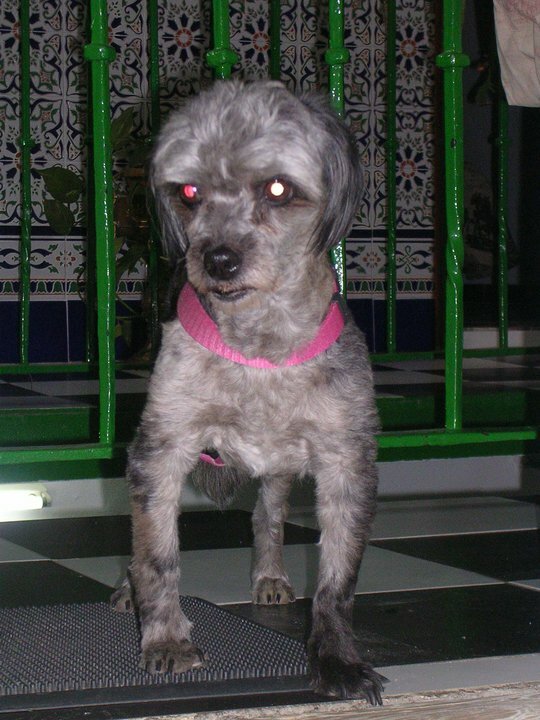 Yes–the pension had a dog named King Kong, so obviously I’d recommend it.